When you put your Seattle Heat Pump in the care of the professionals at Washington Mechanical, you can rest easy knowing you have qualified heating professionals on the job. All of our certified and highly skilled experts are trained to help you with any of your heating needs, and we provide service in a friendly, helpful manner. 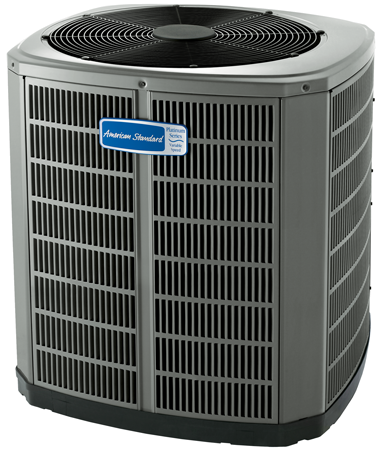 If you are in need of Heat Pump repair, installation or maintenance, Washington Mechanical should be your first call. All of our trained technicians are able to handle heat pump repairs and maintenance on any make or model. Regardless of what type or size of heat pump you have in your home, we can fix problem and get you up and running again in no time. Every service call we take or installation that we perform is more than a number to us. It’s an opportunity to build a long-term relationship with you. Maintaining that relationship means anticipating problems and providing proactive solutions. Our team is available to provide same day and emergency heat pump repair 7 days a week across the greater Seattle area. You can expect one of our friendly, Seattle heat pump repair technicians to arrive on time and provide a complete diagnosis of the problem. You shouldn’t have to worry about whether or not you can trust your HVAC repairman to provide quick and quality service at a reasonable price. We recognize that you want a personable technician who can arrive quickly and accurately diagnose the cause of your broken unit. You want to know as quickly as possible how much it’s going to cost to get your heat pump repaired and you definitely don’t want to wait any longer than you have to to get your unit working again. Washington Mechanical focuses on these key areas of service, working hard to bringing you the heat pump repair experience in Seattle, WA. Considering a heat pump? Or is it time to replace your current heat pump, and you want a hassle-free, no-pressure experience, you can count on Washington Mechanical. There’s a good reason we’ve earned a reputation as one of the top heating companies in the greater Seattle area. We’re committed to helping you identify the best heating options for your home, and giving you all the information you need to make an informed decision with confidence. Heat Pump not working? Call us, 24 hours a day, 7 days a week at 425-499-1932 for heat pump repair service from a company you can trust. Is your heat pump over 8 years old and not working? Let us give you a free replacement estimate before investing in your old heat pump.